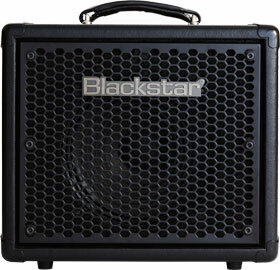 The HT METAL 1 is the perfect metal guitar amp. Using the award-winning HT-1R as a starting point, the HT METAL 1 gets a complete sonic and cosmetic overhaul – delivering an ultra high gain amp that’s specifically designed to meet the demands of today’s metal guitarists. The patented ISF (Infinite Shape Feature) circuit gives you infinite adjustment over the characteristics of the tone control network and takes you from classic British heavy metal to modern US scooped high gain and anywhere in between. Add a fully specified speaker emulated output, MP3/Line input, plus a 4-16Ω speaker output and you have everything you need for recording or practicing.